Every fall the staff at Alpine Accessories will learn about new ski and snowboard product from the manufacturer reps. Manufactures continually improve their product. This is the time for our staff, who were not able to go to the on snow demo’s, to learn about changes to the structure, composition and design of skis and snowboards. This training allows you to get the best service and the right product for your needs. 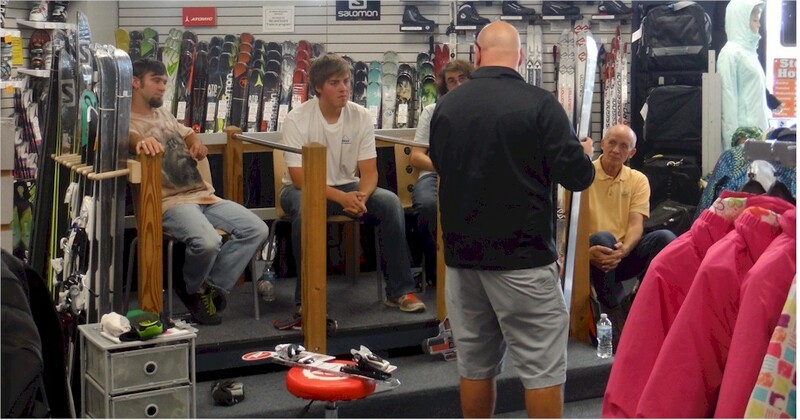 Rossignol Rep Tim Parker gives Alpine Accessories staff annual product clinic.